It doesn’t get any better than this. 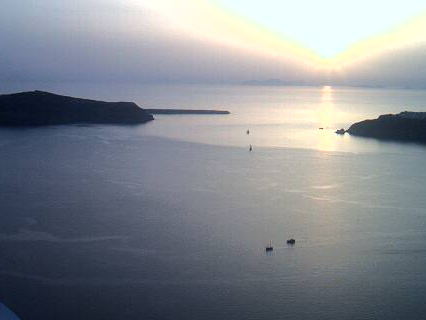 On the rim of the caldera on the Greek island of Santorini, June 19, 8:30 in the evening. What I wouldn’t give to be there now. Absolutely wonderful shot! Gorgeous photo of Santorini paradise!